In lieu of genuine posts here's page from my sketchbook. 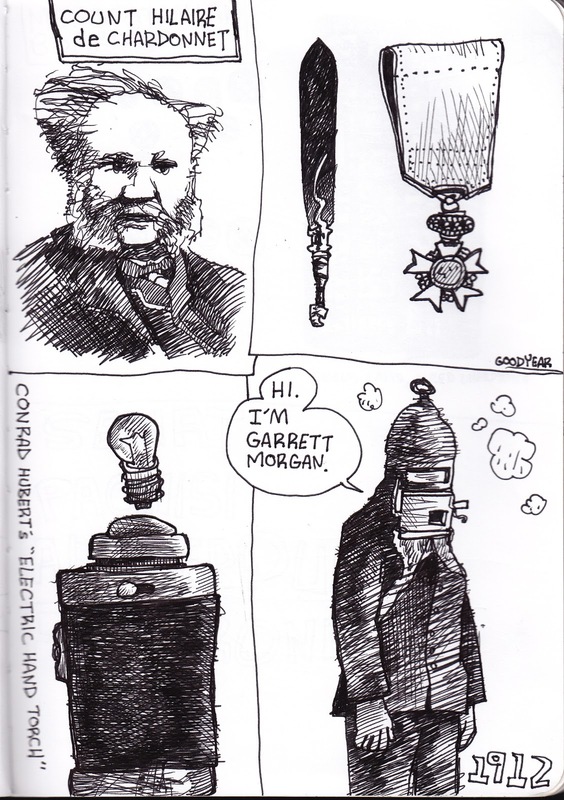 Been poking around a book on inventor & inventions. 4 weeks into the Fall 2012 Quarter. Getting ready for my trip to the International French-Language Comics Conference in Ohio where I will be presenting. Still working on my research for my Generation X article.